A fermented food product made by adding natto bacteria to steamed soybeans, it has a unique viscosity and aroma. 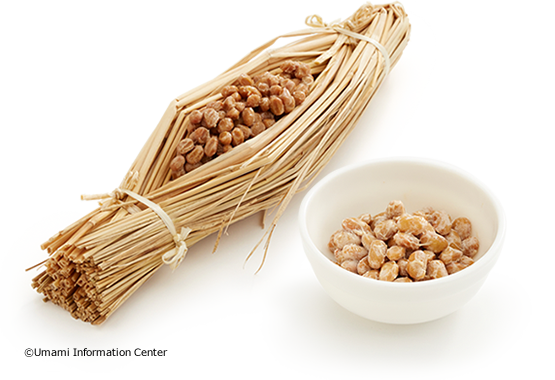 In addition to being rich in bone-building vitamins B2 and K, natto has a variety of other health benefits, too. In addition to eating it mixed with soy sauce and mustard, natto is also used in natto miso soup, chopped dishes, and fried foods. A fish sauce made in Thailand. It is related to the condiments n? ?c m?m in Vietnam and patis in the Philippines. 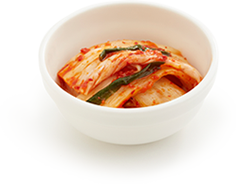 Fish is pickled with salt, and there are yellowish-brown, reddish-brown, and dark brown varieties of the fermented liquid that appears. Fish sauce is rich in amino acids from the broken down fish animal protein. However, the inosinic acid originally contained in the fish almost completely breaks down and disappears with the fermentation process. In China, there is a condiment called haoshi made from oysters boiled with salt and sun-dried. 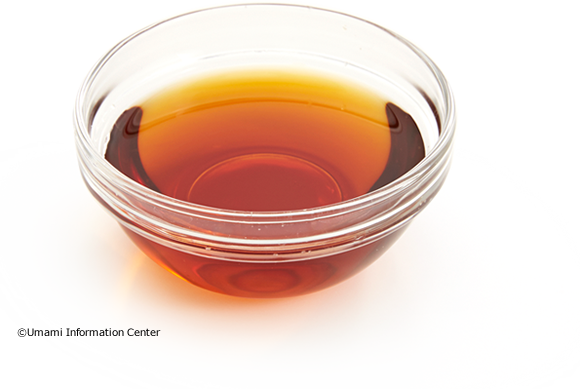 The liquid is heated and concentrated, with flour, starch, sugar, flavoring, and caramel added. This is a processed liquid Chinese seasoning. 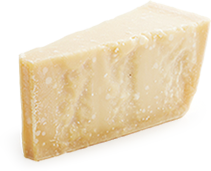 It contains an extremely large amount of the umami compound glutamic acid. The synergistic effect created by seasoning meat or fish with the umami compound inosinic acid with this sauce makes for more delicious dishes. This is an essential seasoning in Chinese cuisine. A heat-sterilized liquid seasoning made by combining tane-koji mold to soybeans and wheat to make a rice malt, then adding saltwater and extracting the fermented “moromi” liquid. The aroma compound is fermented methionine. 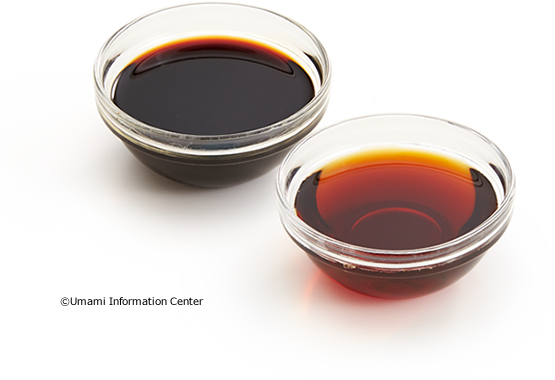 Soy sauce contains a lot of the umami compound glutamic acid. This is one of the basic Japanese seasonings. 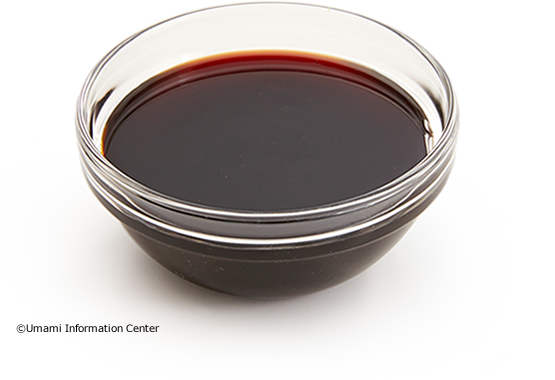 Soy sauces are classified into five categories according to the JAS specifications: Koikuchi, usukuchi, tamari, shiro, and saishikomi. A seasoning made primarily from soybeans, which are mixed with rice malt and salt, then fermented. The protein in the soybeans is broken down by fermentation into amino acids, and miso contains a large amount of the umami compound glutamic acid. This is an essential seasoning for Japanese cuisine on the same level as soy sauce. There are many types of miso. 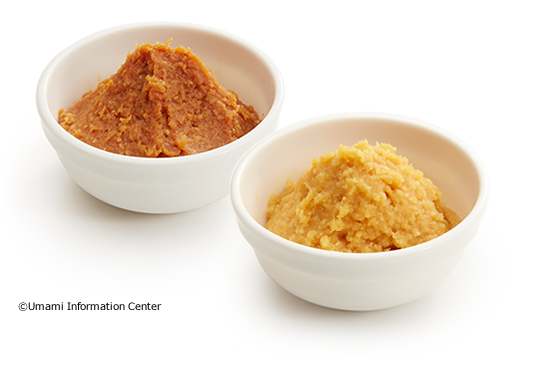 Depending on the type of rice malt, the miso is classified as kome miso, mugi miso, or mame miso. Of those, kome miso makes up about 80% of total production. Depending on the amount of salt, miso is divided into amami miso (salt content 5-7%), amakuchi miso (salt content 7-13%), and karakuchi miso (12-14%). And miso is further classified depending on its color.